Josh Bess, author of Ableton Grooves, has uploaded some demo drum grooves from his book! Now users can listen to the drum kits they will be programming with Ableton Grooves. Follow Josh Bess on SoundCloud here, or visit his website at JoshBess.net. Ableton Grooves will empower you to create realistic-sounding drum grooves using Ableton Live and the Ableton Grooves Drum Racks – specifically created for this book by certified Ableton Live trainer Josh Bess. Each groove is written using MIDI Maps, an original and powerful programming concept introduced for the first time in this book. With MIDI Maps and the MIDI Note Editor, you’ll learn not only how to read the exercises but also how to use them to develop your own creative and musical grooves. Bess presents musical notation alongside the MIDI Maps so that you can understand both the technological and musical sides of what you’re learning and creating. Ableton Grooves teaches much more than how to map out beats and grooves! It demonstrates concepts that become stepping-stones to a new way of thinking and creating while introducing diverse groove styles. Tips and hints throughout the book and accompanying DVD-ROM reveal several ways you can create something new for yourself. 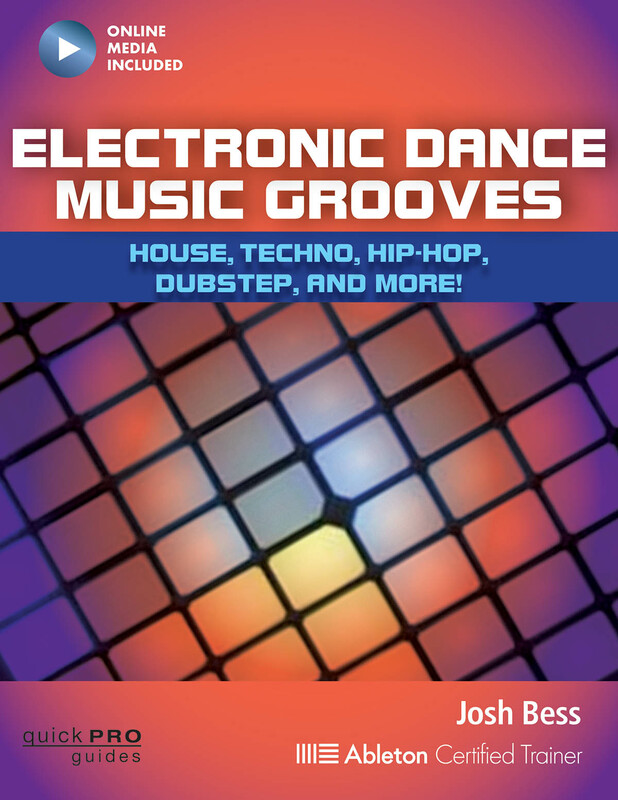 This book demonstrates how to program many groove styles, while presenting several techniques that add important musical feel and emotion. Included are over 80 standard and diverse dance, rock, metal, funk, R&B, jazz, Latin, and hybrid drum set grooves.